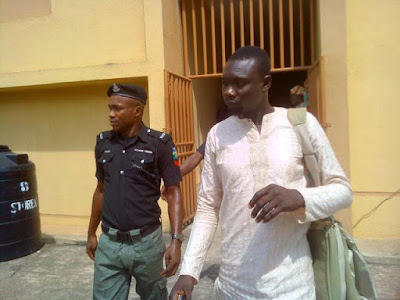 A suspected fake medical doctor (name withheld) was Friday arrested in Abeokuta, the Ogun State capital, for allegedly being in possession of a fake certificate of the University of Lagos (UNILAG). He was nabbed when he presented the university certificate as well as National Youth Service Corps (NYSC) discharge certificate for registration/revalidation exercise at the state Ministry of Health’s headquarters in Oke-Mosan, Abeokuta. New Telegraph learnt that the arrest was consequent upon the suspect’s attempt to revalidate his facility (God Heals Medical Centre) at Sango-Ota area of the state, which had earlier been sealed off by the state monitoring team. It was alleged that he had carried out all kinds of surgeries without the necessary expertise, with many people becoming victims of his ineptitude. The Commissioner for Health, Dr Babatunde Ipaye, immediately handed over the suspect to the police. Ipaye said the state government remained committed to ridding the state off quackery, particularly in the health sector. While noting that the activities of quacks endanger human lives, the commissioner disclosed that several suspects have been arrested in the past.